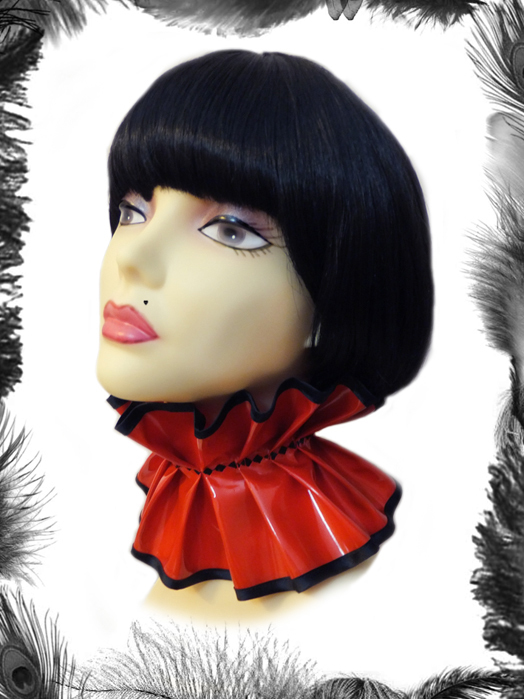 Pleated Pvc & Satin Trim Choker, Collar. Available in many colour combinations - make your selection below. Satin Ribbon ties that can be tied at the back or front. Embroidered diamond stitch in the center.